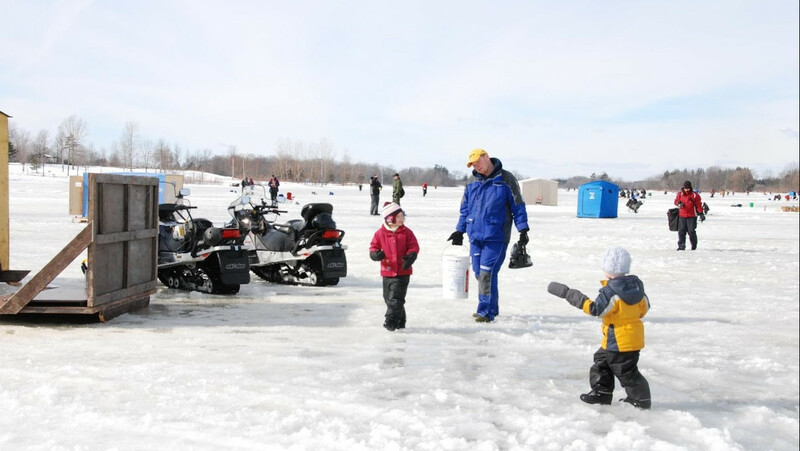 Binbrook Conservation Area will once again host hundreds of local families and avid anglers at its Annual Binbrook Hard Water Crappie Derby, set to take place on Saturday, February 2. This year’s event will welcome Kids Out Fishing (KOF), a not-for-profit organization with a mission to teach the sport of ice fishing to youth who want to learn a new hobby, aspiring anglers, or families who have never fished before. With short seminars, fishing clinics on the ice, and all gear provided, families are encouraged to leave technology at home and come out for a fun day on the ice. New for 2019, guest can fish and jam to music and entertainment provided by Giant FM and local radio personality, Chuck Lafleur. Lunch and snacks will be available for purchase, courtesy of the Glanbrook Conservation Committee (GCC), with proceeds benefiting the organization and often returned to the park through various conservation projects. From the maintenance of Binbrook’s hiking trails, to a large aquatic planting program, and an extensive tree planting initiative, GCC’s projects have played a major role in the conservation of the area. The Annual Binbrook Hard Water Derby will take place on Saturday, February 2, 2019 from 7 a.m. to 1 p.m. Prizes will be awarded to the top three adult and top 10 child anglers who reel in the heaviest crappie fish. Tickets are $20/adult and $5/children, taxes included. These can be purchased online on Eventbrite, where tickets for children under 12 are FREE. Ice huts can be rented for $60 by calling 905-692-3228 to reserve, including Binbrook’s first Wheelchair Accessible ice hut. A valid Fishing License is required, and conservation limits will apply. Please check the Ontario Fishing Regulations at www.ontario.ca for information. Binbrook Conservation Area opens its gates every winter for recreational ice fishing and the 2019 season has now begun. Be sure to visit www.npca.ca. to stay up to date with safe ice measurements. For more information on Binbrook Conservation Area, visit www.npca.ca/parks/binbrook. Follow on Facebook, Twitter, and Instagram for more updates. NPCA manages 41 Conservation Areas, including Ball’s Falls, Binbrook, Long Beach and Chippawa Creek. These lands are held in public trust for recreation, heritage preservation, conservation, and education. NPCA’s Conservation Areas marry nature, culture and adventure to create limitless opportunities for discovery.